The new Liteville 301 Mk14 is available as a frameset and as an Enduro Factory Machine. As to the configuration of the bikes, our focus is on function, reliability, weight and maximum riding pleasure. One highlight among the high-class components is the Eightpins variable seatpost with as much as 220 mm travel. On top of this, a variety of components, such as the drivetrain or the wheels, can be configured individually. 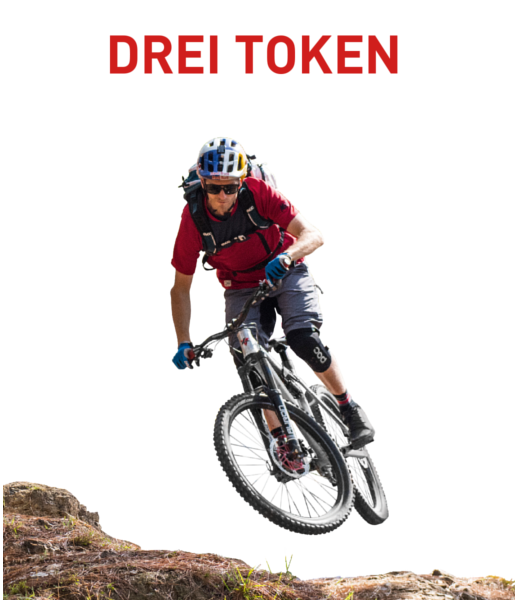 Dafür gab es in der bike 09/2017 das Testurteil "Super". "Auch die neueste Entwicklungsstufe des 301 überzeugt im Gelände und durch außergewöhnliche Detaillösungen sowie einige Updates zu den Vorgängern. Merkmale wie eine hohe Zuverlässigkeit, ein geringes Gesamtgewicht und ein sehr guter Vortrieb kennzeichnen das sportliche Enduro nach wie vor am treffendsten. Ein Alleskönner auf hohem Niveau." "It is the ultimate all-purpose bike! The chassis and geometry of the 301 Mk14 are top-of-the-line quality, while the innovative frame has been known for its ingenuity before. 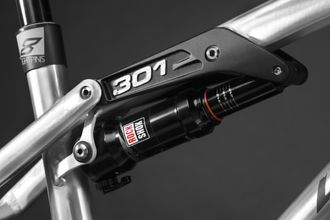 On top of this, the 301 can be adapted perfectly to the rider's size." Das vielseitig anpassbare Liteville 301 MK 14 hat uns im Laufe der letzten Monate ausgesprochen positiv überrascht. Es klettert super bergauf, besitzt ein feinfühliges Fahrwerk und einen gelungenen Mix aus Laufruhe und Agilität bergab. Price for kit bike incl. taxes. Assembly not included. The Liteville 301 Mk14 Factory Machine will be available from May 2017 at our Liteville distributors. 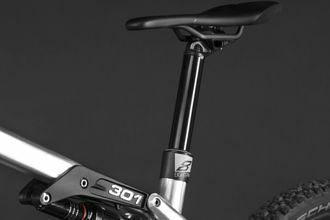 The 301 Mk14 Enduro Factory Machine is exclusively equipped with the all-new EIGHTPINS seatpost. 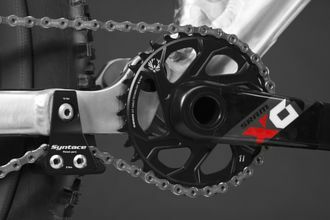 You decide whether you prefer a 2-speed drivetrain or the 1x12 SRAM Eagle groupset (as an option). 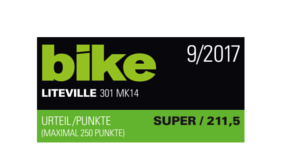 Neben den Metric-Dämpfern bieten wir serienmäßig die RockShox Pike 2018 an. 150 g leichter als Ihr Vorgänger mit unglaublich sensiblem Ansprechverhalten. 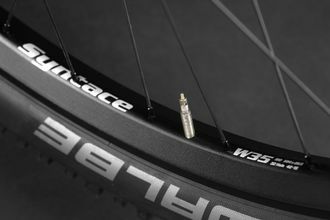 Syntace W33i Straight wheels or the new, lightweight and extra wide carbon fiber wheels Syntace C33i (as an option). 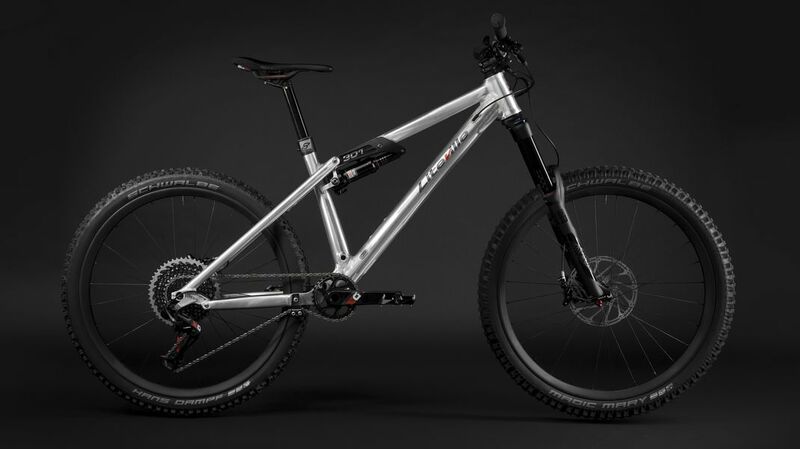 The radically redesigned geometry of the 301 Mk14 with a 10 to 15 mm prolonged reach and the adapted TCL chain stay lengths lead to a well balanced and stable yet highly agile overall performance of the bike. The top tube length has been increased by 10 to 25 mm with an offset seatpost. Thanks to the VarioSpin, the steering angle and thus the entire riding performance can be tuned individually. MADELAINE SILCHER - certified riding technique trainer - loves technically challenging tours. TOM ÖHLER - trial world champion 2008 - likes all different types of facets of the sport. Whether an urban playground or Alpine technically challenging trails, flow trails or rough downhill courses. You want to go for a test ride with the Liteville 301 Mk14? 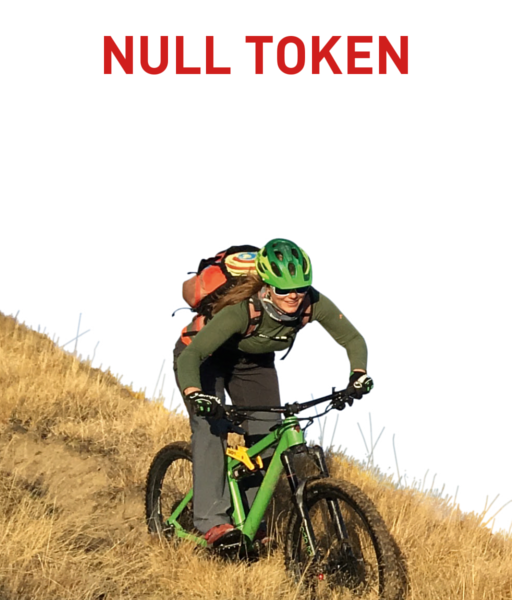 You may now do so in a variety of different locations all offering actual off-road riding tracks.